The fault in our star: Why the five test series vs. England is all about Dhoni - No Sacred Cows! Mahendra Singh Dhoni has played in over 500 cricket matches in just under nine years. He has kept wickets in almost all these games while also shouldering the mantle of captaincy in over 70% of the games. During this period he has achieve unique success and authored memorable moments simply known to cricket fans as ‘that night at the Wankhede’, ‘that knock versus Punjab’ or ‘that last over vs. Pakistan’. He has captained India to triumphs at two World Cups, a Champions trophy win and has held one of the most difficult posts in world sport with great tact and efficacy. He is at least somewhat responsible for the fearlessness his teams show chasing gargantuan targets in limited overs contests. He is also loyal to a fault (e.g. Ishant Sharma), judges talent poorly at times (e.g. Ishant Sharma) and way too defensive (e.g. Ishant Sharma) much to the frustration of the team’s fans. 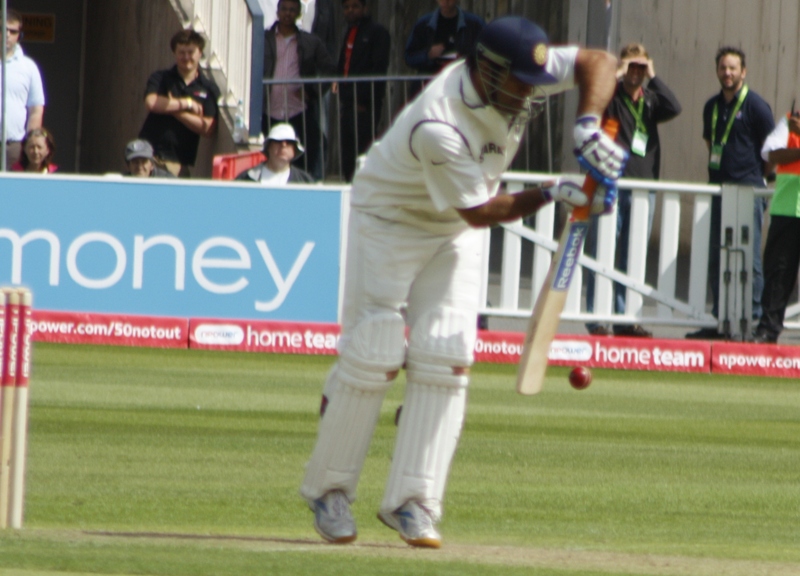 As he winds down to the part of his career where wicketkeepers past and present have started to lose their motor skills (Dhoni has already played more games already than Ian Healy did in all forms of the game and for longer than Adam Gilchrist did for Australia), there is but one fault in India’s biggest star – His record in tests away from home. Outside of India, Dhoni averages 33.00 and outside of the subcontinent, Dhoni averages 29.24. These are numbers generally associated with the Mark Ramprakashes and Chandrakant Pandits of the world, not the most famous and successful athlete of the country. Dhoni has also led his team on some #epicfail tours of late losing 9 of the last 11 tests played outside the subcontinent (almost all of them fairly convincingly). The five test series vs. England that starts a week from today is Dhoni’s last chance to salvage this pathetic batting and captaincy record away from home. Australia later in the year will likely be too much for this Indian side and there are no major tours on the horizon past the World cup next year. A 35 year old Dhoni may not warrant a place or will more likely be out of tests altogether when the next opportunity to tour England rolls around. That is why I think India’s first five test series in more than a decade is all about Dhoni. It starts and ends with one of the certain starters on the All-time India XI trying to craft one memorable knock or eke out one series win away from comfortable confines. Forget India’s pu pu platter bowling attack or the much beleaguered Alastair Cook. Forget whether Virat Kohli or Joe Root or both will get to 600 runs before the fourth test even. Forget whether Moeen Ali will be dismissed even once. The story of the series for India is the success of their captain as a captain and batsman. Never has leadership by example been more important for Indian cricket and a Dhoni who chips in with 45 runs an inning could be the major difference in side composition, morale and the team’s ability to grind out enough days and hours. 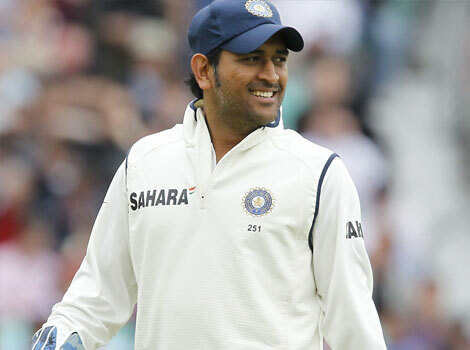 Dhoni now more than ever needs to play a defining role in India’s test fortunes. Another insipid series with the bat or another winless series loss will put him a few tiers below his predecessors when the history books are written. If Dhoni wanted to add test match success & pedigree to an illustrious limited overs record, this is the time. In some ways, the signs are promising. This English attack is a lot weaker than the ones India had to face on their last tour and England got worked over by a Sri Lankan team that no one will mistake for the Invincibles. Dhoni, Kohli and Pujara have also gotten one of their longest breaks away from the sport and rest can be a wonderful cure for most ailments. There is a good chance that the Indian batsmen put it together game after game and the bowling gets lucky enough once or twice to eke out a series win. A full summer of cricket with five test matches is a fascinating and fun feast for cricket fans worldwide. MS Dhoni has one last chance. He can make this series his and take a much-deserved place on the pantheon of Indian greats. If not, this summer’s drama that makes Indian fans cry and mourn will be the fault in our star; In our captain and biggest star – MS Dhoni. We should all understand that Dhoni is a non-starter as a batsman in seaming conditions. He has not been coached in the perfect English sense. He would play and miss a lot and get out to atrocious shots in England. He is not going to be a great No.6 for India. We have to be satisfied with his heroics in the su-continent and to some extent in Australia. What he brings to the table is his leadership qualities which enthuses better gifted mates to perform above their visible potential. A good team is getting prepared. His achievements with his out-of-the-box thinking has won us many laurels unmatched by our ex-captains including Saurav. We are on the right path and that is what matters. Further if he can ensure that all matches in India (including the domestic tournaments) are played on pitches with juice, then he would have done a yeoman service for us.